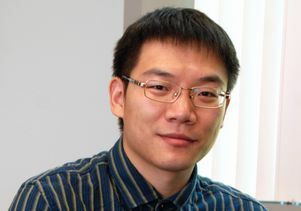 UCLA chemist Chong Liu’s approach to artificial photosynthesis may one day be useful in places without extensive energy infrastructure, Science News said. 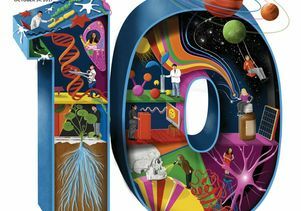 Science News said Liu, 30, tackles big and challenging problems. He was among the first scientists to combine bacteria with metals or other inorganic materials to replicate the energy-generating chemical reactions of photosynthesis. Liu’s approach to artificial photosynthesis may one day be especially useful in places without extensive energy infrastructure, Science News said. Liu majored in chemistry at Fudan University in Shanghai, and according to Science News, was frustrated when he would ask questions and be told that the answer was beyond the scope of what he needed to know. Photosynthesis is powerful, but has room for improvement; plant converts only one percent of solar energy into chemical energy. Liu thought he could do better. He and colleagues designed artificial “leaves” to collect solar energy and generate electric current. The current splits water molecules into oxygen and hydrogen, and bacteria in the water transform carbon dioxide and hydrogen into fuels or other useful chemicals. His research team reported in the journal Science in 2016, a device that was about 10 times as efficient as plants at removing carbon dioxide from the air. 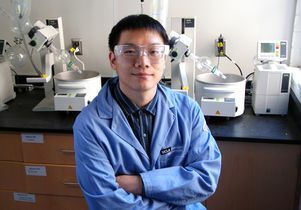 In one of his research projects, Liu is studying the way the inorganic components of soil influence bacteria’s ability to run important chemical reactions. He wants to understand the relationship between soil and microbes. His laboratory combines expertise in inorganic chemistry, nanomaterials and electrochemistry, to address challenging questions in such areas as catalysis, energy conversion and other environmental applications, as well as biological applications. 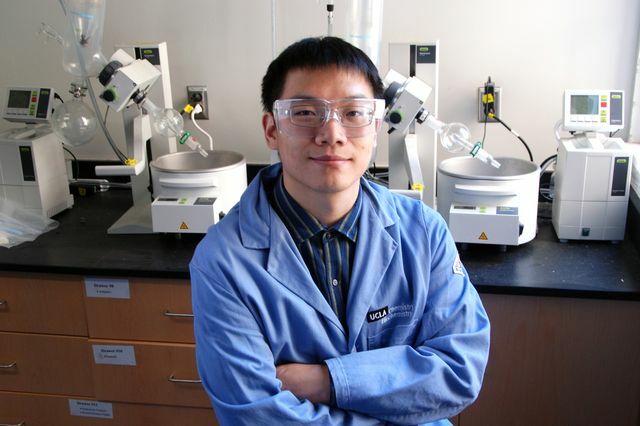 Chong Liu, assistant professor of chemistry at UCLA in a laboratory.